Home Builders of Greater Savannah held their annual Installation and Christmas Gala last Friday, December 12, 2014. Kevin Kirsch of Kevin Kirsch New Homes was installed as President by long time mentor Rande Duke. 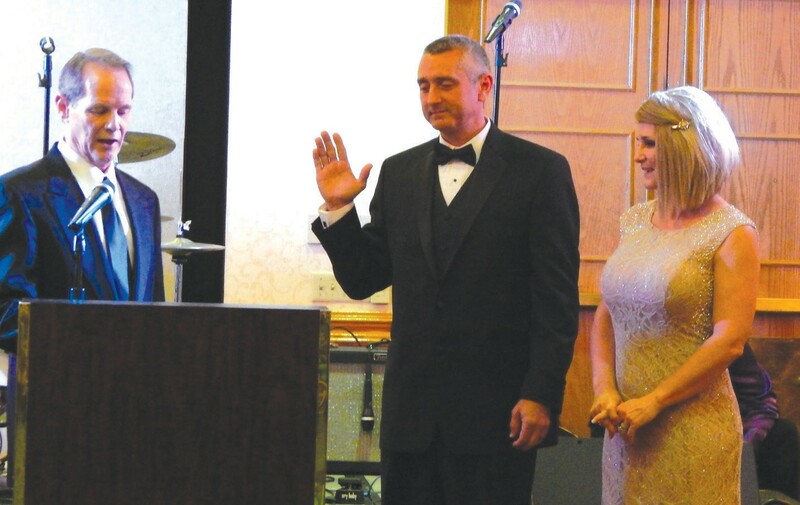 Other Officers installed at the annual event were Candler Wilson as Vice President, Joe Marshall as Treasurer, Jeff Schofield as Secretary, Janet Atwood as the Associate Vice President and Brandy Jenkins as the Association Vice President. Byron Loomis received the Woody Woodward Memorial Award, which recognizes outstanding contributions by an Associate member. Candler Wilson was recognized as the Sales & Marketing Council’s member of the year and Presidential Awards were presented to Brett Bouy, Byron Loomis and Kevin Kirsch by the outgoing President, Mark Bouy.